Student loan default is a problem that many individuals face everyday. When student loan payments become too much to handle, you should not simply allow your loans to go into default. Here are some of the steps that you should take before going into student loan default. Before you go into default, you should make an effort to call your lender. The first step in coming up with a solution is to make contact with a representative from your lender. Let them know that you are having trouble paying your loans. 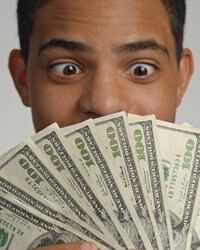 Many student loan lenders have various payment plans that they can recommend. For example, if you are on a standard payment plan, they may be able to recommend an income-based repayment plan. This will give you a lower payment to work with until you start making more money. If you do not have any money to make your payments, you might want to consider trying to qualify for a deferment or forbearance. Both of these options will allow you to stop your payments for a specific period of time. With the deferment, interest will stop accruing on your account as well. Ask the representative if you would be able to qualify for one of these two options.